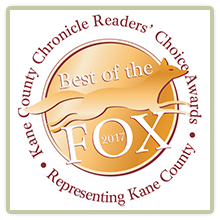 Wasco Nursery and Garden Center | St. Charles, IL | Kane County's Best! 10-Acres of the best quality trees, shrubs, perennials, annuals, herbs & vegetables in the area. 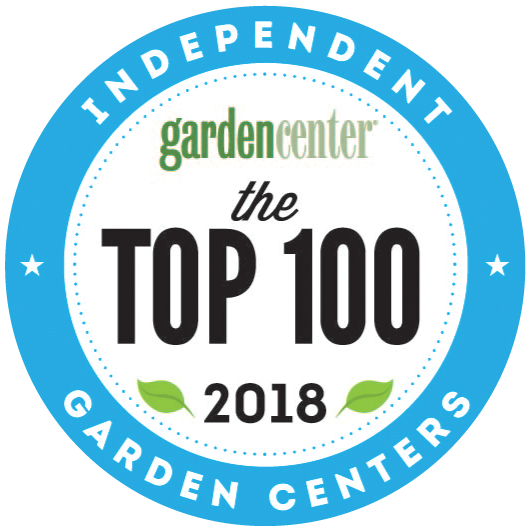 Come visit and see for yourself why we have been consistently voted Kane County's Best Garden Center and have been frequently ranked in the Top 100 Garden Centers in the United States. Sign up for the V.I.G. (Very Important Gardener) Club! You'll receive garden tips, new plant information, coupons, specials, discounts, news and promotions through perodic e-mails we'll send. Wasco Nursery consists of 2 farms totaling nearly 140 acres, a 10-acre retail garden center (the area’s largest), landscape design and installation services, more than 11,000 sq. feet of greenhouse space, an art gallery, a water gardening department, as well as a garden gift shop that is open year round. With the continued growth in the Fox Valley area, Wasco Nursery is focused in their mission to provide area residents with high quality, locally grown plant and landscape material, expert advice and professional installation and design services. No "dream-home" is complete without beautiful landscaping. Your dream landscape begins with Wasco Nursery's Design-Build Team. Our designers offer a wealth of services to create and maintain your beautiful outdoor living space. The design team has created landscape plans ranging from small garden designs for a "Do-It-Yourselfer" to large residential (and commercial) projects over $100,000. All design and installation services can be customized to meet your needs. Only the highest quality plant and landscape materials and our highly experienced crews specialize in proper planting and installation techniques. Andres and Jorge just finished planting the maple. They are very nice fellows and did a BEAUTIFUL job. Ginny and I are delighted. I told them I would email you, sing their praises, and suggest a raise for them! Thanks once again for helping us. Your men were out at our home this past Saturday to deliver and plant the 13 Burning Bushes that we ordered. The bushes look great and your crew did a fantastic job of planting them exactly as we requested. My wife and I are very satisfied with both the quality of the product and with the job the crew did. I'm sure we will be dealing with you again in the future. Our compliments to your crew for a Job Well Done. Matt, as always, it is a pleasure doing projects with you, Wasco Nursery, and your in-field crews! The guys working yesterday to spread mulch in the high heat were very professional, thorough, and as usual did more than simply spreading mulch in beds. Thank you for running such a great landscaping resource for the Fox Valley and managing a great group of team members. Matt, thanks to you, Alfonso, and his team for the excellent work that was done here yesterday. The three boxwoods and the arborvitae are beautiful specimens, and were put in perfect positions by Alfonso. We are happy with all the rearranging and trimming, and the men did such a beautiful clean-up. We have already started our aggressive watering. It is such a pleasure to work with all of you. We have no worry or stress, because you are all so talented and professional. Please tell Alfonso and his team how happy we are. Finally---I have some good luck for a change. I was lucky enough to have you (Meagan) to help with the design (and, put up with me..) and, Randy is awesome!! When the rest of the plants come in, we definitely want Randy to be the one to plant them. You both have been patient, kind, and truly care about making the customer happy! Kudos to both of you, and I am going to "report" both of you to Matt with AAA comments!! Meagan, I just wanted to take a moment to thank you and your crew from Wasco for doing such a great job on our landscape project. We were impressed that the whole project went seamlessly and turned out beautifully. We were truly impressed that an old wall could be taken out and a new one put in and all the landscaping installed in one day. The whole team should be commended for a job very well done. Most of all, thank you for your insightful and beautiful design. I really appreciate you taking into consideration my concerns with maintenance and the plants that we favored. It turned out gorgeous! We have received many compliments from neighbors and passersby. Hi Matt and Meagan! The Lilac Tree and Autumn Blaze Maple trees look amazing! Your team did a fantastic job of planting them and we are MORE than happy with the outcome. The trees are beautiful and budding and I'm sure will give us a lifetime of awesome growth and beauty! Thank you again for such great service and care!!! P.S. Tom installed the water feature we also purchased, in our front yard as well and thanks to you, it turned out amazing! The stone Urn looks outstanding! Your crew planted our new Blue Spruce tree on Wednesday. Since the July 1st storm, I have had all kinds of contractors and folks working on my house. I have to say that the two gentlemen from Wasco Nursery that did the planting were exceptionally courteous, considerate, friendly and knowledgeable. Additionally, they did a great planting job and the tree looks beautiful. Thanks very much.